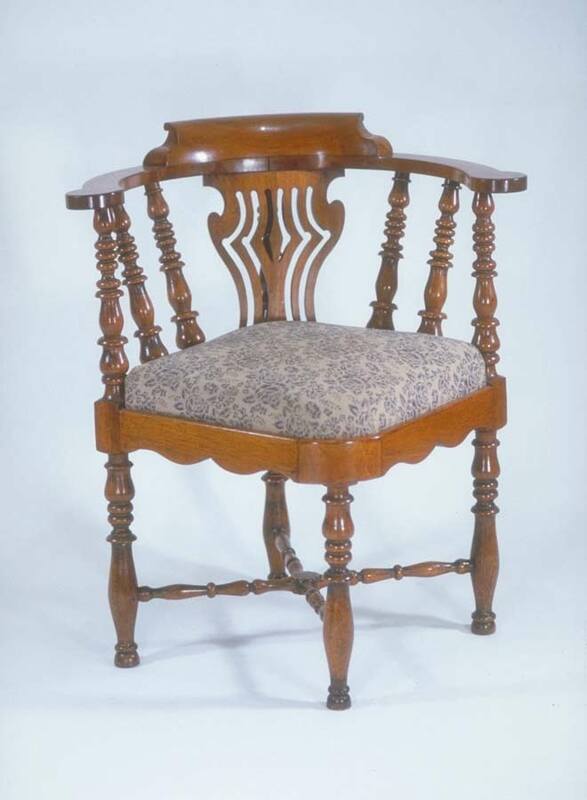 An English regency period rosewood corner chair. Having a finely faded patina finish. c.1820-1830. This example has a compass stretcher and pierced solid splat. The arms are supported by finely turned bobbins which match the bobbin and vase form legs. The slip seat is upholstered and can be removed. Repair to bottom of front leg.